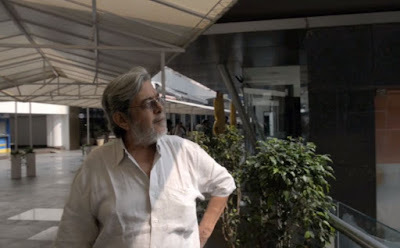 Saeed Mirza: The Leftist Sufi (2016) is a documentary film about an esteemed writer and director of arthouse films in India, Saeed Akhtar Mirza. 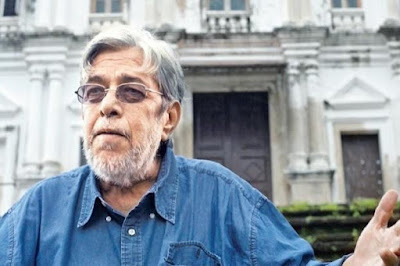 The film, directed by Kireet Khurana and Padmakumar Narasimhamurthy and based on a conceptualization by Khurana, appears to be an attempt to explore Mirza’s artistic and philosophical underpinnings that have inspired his thoughtful cinematic themes. Most of these films show a man who has been made wrathful by a corrupted social milieu that is stacked against him. As such, these films angrily serve to expose social injustices prevailing in Indian society and so supposedly may help to qualify Mirza as a leftist. However, the degree to which the present film under discussion, Saeed Mirza: The Leftist Sufi, actually reveals Mirza to be both a leftist and a Sufi is something that needs to be considered further. A set of extended monologues of Saeed Mirza talking about his past experiences and his thoughts about Indian society and life in general. A set of testimonials from some of Mirza’s professional colleagues and contemporaries, including Saeed’s own younger brother Aziz Mirza, who is also a film director but who, unlike Saeed, makes films more along the lines of mainstream Bollywood musical comedies. A set of montage-like snippet collections from Saeed Mirza’s feature films. These are presumably intended to give a flavor of his work. These three components are supposed to contribute to our understanding of Saeed Mirza and the degrees to which he is a leftist and a Sufi. But two of those components are not effective in this regard. Component #2, the collection of testimonials, is devoted mostly to people testifying to what a good guy Saeed Mirza is. But they don’t tell us much about Mirza or provide interesting personal anecdotes describing how he thinks or operates. They just tell us that he is good. And component #3, the collection of film snippets, doesn’t provide enough information for this situation, either. First of all, although the film is in spoken English, the snippets are from Hindi language films and are not provided with English-language subtitling. Apparently the makers of this film were assuming that all their viewers would be bilingual in Hindi and English. Moreover, the individual snippets shown in the film are so short that they collectively fail to provide a narrative feel of the films from which they are drawn, even for those viewers who are bilingual. For example, there is a shot of a one-man demolition of a building that is taken from the film Mohan Joshi Hazir Ho! But it is not evident from just seeing this clip alone that this is a culminating event for Mohan Joshi Hazir Ho!’s narrative. So these clips shown here are likely only to serve as reminders to those who have already seen those original films. And in general they don’t contribute to our understanding of the narrative themes that underlay Saeed Mirza’s films. So this leaves us only with component #1, Saeed Mirza’s extended commentary addressed directly to the camera, to hopefully provide the substance and insights we are looking for. And here we do find material of interest. Mirza comes across in these bits as a reflective person, as he recounts his thoughts about his past and about Indian society. 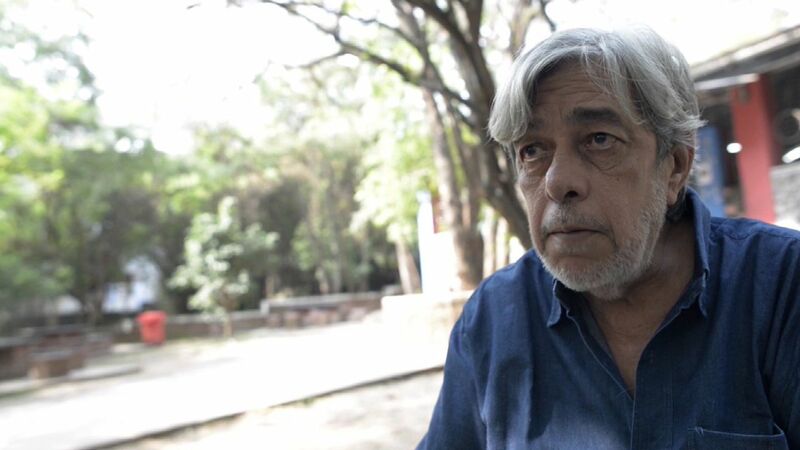 He reminisces about his time spent studying at the Film and Television Institute of India (FTII). And in general, he reveals himself to be not so much a clear-cut leftist, in my view, but more like a universal humanist – someone who embraces an inclusive and progressive view of humanity and human rights. Thus he was disturbed by the rise of fanatic communalism in India in the 1980s . In particular, the destruction of the 16th-century Babri Masjid at Ayodhya by Hindu fanatics in 1992, which was a key thematic element in Mirza’s 1995 film Naseem, was so depressing for Mirza that it induced him to take an extended leave from filmmaking. More recently Mirza has successfully turned to writing, where his prose has been praised by his colleagues, and it has been characterized by them as an imaginative blend of fiction and autobiography that blurs the boundaries between the two [3,4]. Interesting as some of this Mirza commentary is, though, the film as a whole suffers from some further deficiencies in connection with its production values. Basically, apart from the not-very-helpful film clippings, we have a film mostly of talking heads. And there is no real dialogue; these are individual heads talking straight to the camera. In addition, many of these talking-head shots are sloppily conducted with a shaky hand-held camera, which is distracting to the viewer. Moreover, there are also issues with the soundtrack. When Mirza is shown out on the street, there is often so much ambient noise that it is hard to hear what he is saying. And in other parts of the film, the sound dubbing is not synced very well. 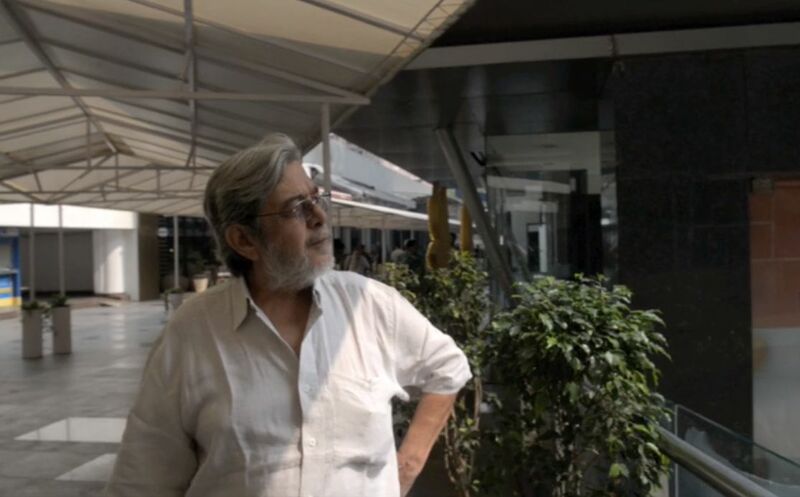 Thus overall, the film Saeed Mirza: The Leftist Sufi gave me sparse information about a very interesting Indian filmmaker; but it was only in small fragments, and it left me wanting more than what this film could give me. “Parallel cinema”, Wikipedia, (22 July 2018). ‘Communalism’ is a word that has many interpretations around the world. Here I am using it in the way it is usually understood in South Asia. “Communalism (South Asia)”, Wikipedia, (12 May 2018). Saeed Mirza, Ammi: Letter to a Democratic Mother, (2008). Saeed Akhtar Mirza, Memory In The Age of Amnesia: A personal history of our times, Westland Publications Limited, (2018).